LONDON, ENGLAND — This is one of my favorite places in the world. 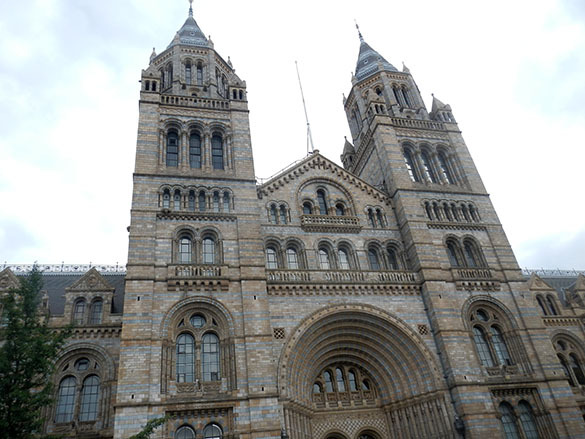 It is a Victorian cathedral of science: The Natural History Museum in London. 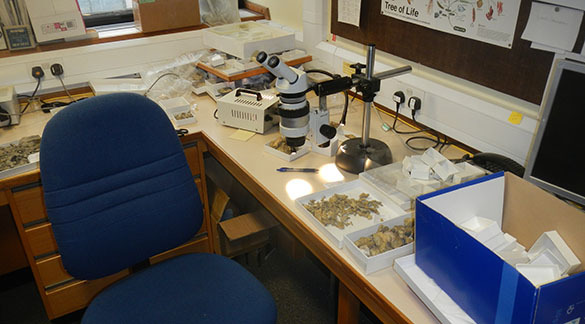 Today I began three intense days of research with Paul Taylor in his paleontology lab. — there were plenty of other trays to plow through. Paul and I had an assembly line going where he washed the fossils and I sorted. This beautiful creature in one of Paul’s excellent Scanning Electron Microscope (SEM) images is what we were primarily looking for today. 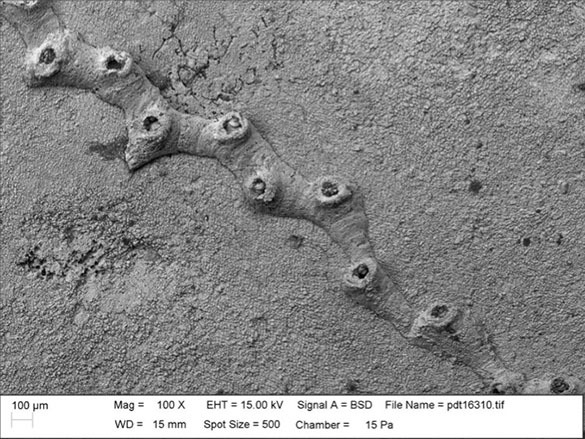 It is an undescribed zig-zag cyclostome bryozoan from the Bromide Formation (Upper Ordovician, Sandbian) of the Arbuckle Mountains in Oklahoma. 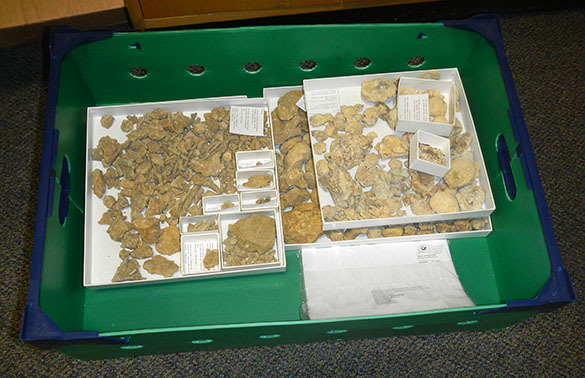 Paul and other colleagues from the Natural History Museum collected the trays of fossils we’ve been sorting while on an expedition to Oklahoma in 2013. This bryozoan type encrusts larger bryozoans, brachiopods, and other shelly substrates in this assemblage. Tomorrow we will use the SEM on the new specimens we discovered today in the expedition’s materials. I also give a seminar at the museum tomorrow afternoon on Wooster Geology work in the Jurassic of Israel. Yikes.